Are you ready to outfit your Parksville area home with smart technology? We’re here to help. From home automation to high end audio, we are your local dedicated partner for expert solutions. Our custom services are entirely dedicated to enhancing your lifestyle. To learn more about the most popular technologies we offer, scroll below! 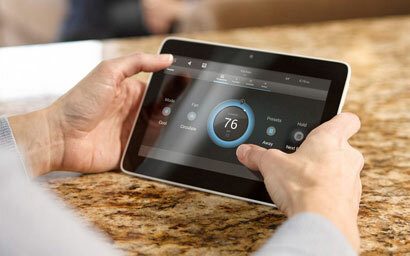 Control4's intuitive system connects all the smart devices throughout your home, from lights to motorized shades to home security system, Control4 provides a way for you to control it all straight from your smartphone or tablet. Select the "Lighting" button on your tablet to brighten the lights in your bedroom without getting up. With Control4, it's that simple. 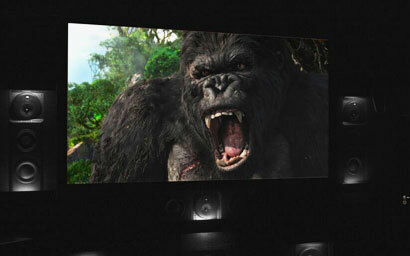 Seeking ultra high-quality speakers for your dedicated home theater or listening room? Look no further than Bowers & Wilkins. B&W's best in class design ensures that sound reproduction is as accurate as possible. Custom-tailored lighting control allows you to change the mood of any area of your home to suit the occasion. Whether watching TV, eating or entertaining, with a press of a button, you can create your ideal atmosphere. 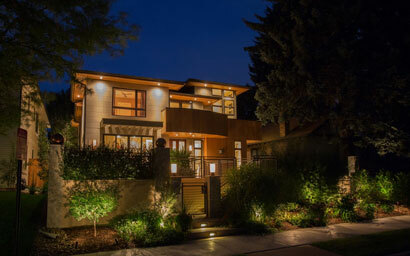 New construction or upgrade - let us create a lighting solution perfect for you.